The vineyards of Chateau Clamens are located at the entrance to Toulouse, on the sandy loam and clay soil of the old terraces of the river Tarn which offers good heat retention. Coupled with a favourable climate – over 2,000 hours of sunshine a year, fairly cool nights and little but regular rainfall – this is perfect terroir for producing red and rosé Négrette-based wines with a fascinating aromatic intensity… a rare treat for the senses. Negrette native to this area around Toulouse and is the main grape of the Cote du Frontonnais appellation. It is characterized by its black fruit, violet and spicy aromas and makes red wines that are a elegant, fleshy and powerful as well as balanced rose wines. This Southwestern France blend is based on Negrette and Syrah with a hint of Cabernet Franc for good measure. Notes of black cherry, tea leaf and interesting wild herbal notes. 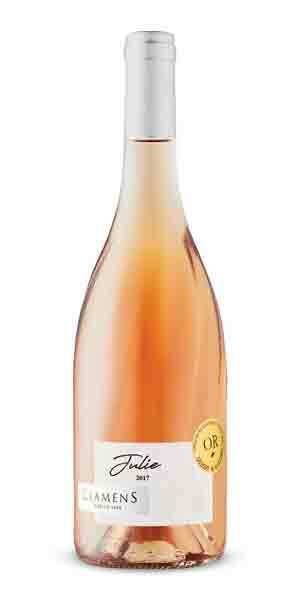 The wine offers a nice creamy texture from lees and lots of palate pleasing fruit red fruit with citrus undertones.